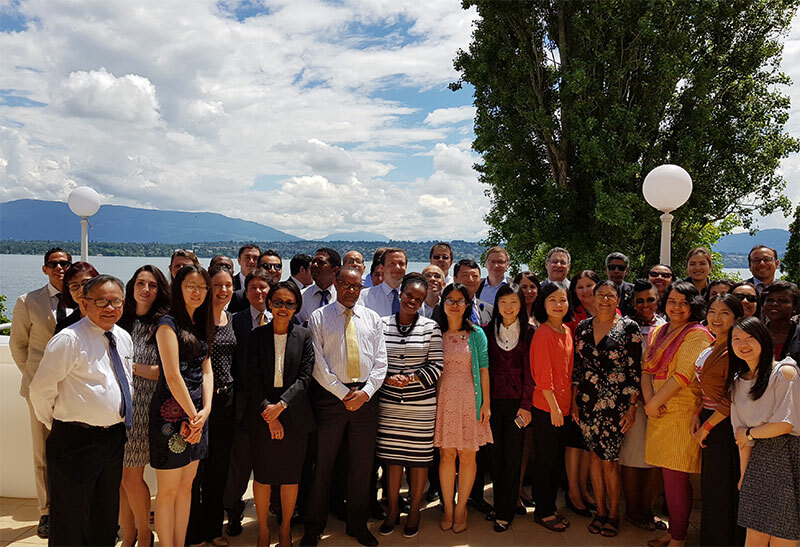 On 7 June 2018, the ACWL completed its sixteenth annual training course on WTO law for Geneva-based delegates of the ACWL’s developing country Members and the least-developed countries (LDCs). This year, 66 delegates participated in the course, of whom 39 attended the required number of sessions to receive the ACWL’s Certificate of Training. 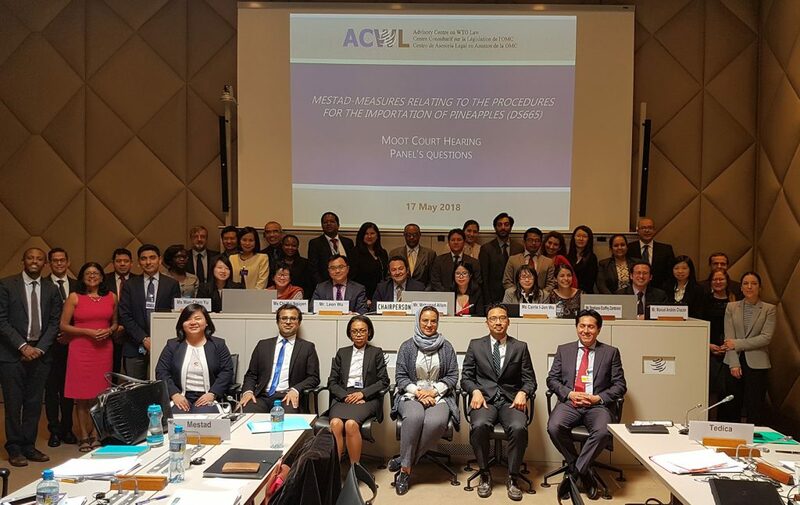 The ACWL’s Training Programme is divided into three annual courses each covering different aspects of WTO law and WTO dispute settlement proceedings. The 2017/2018 course focused on WTO dispute settlement proceedings. The course takes place on Thursday afternoons at the ACWL’s offices. This year, there were 27 sessions held between 5 October 2017 and 7 June 2018. The course is taught by the ACWL’s lawyers, drawing on their extensive practical experience in WTO law and dispute settlement proceedings. The course includes a popular moot court exercise, in which delegates prepare and deliver arguments in a hypothetical WTO dispute settlement proceeding. The moot court problem was titled Mestad – Measures relating to the procedures for the importation of pineapples and involved issues under the Dispute Settlement Understanding (DSU), the General Agreement on Tariffs and Trade 1994 (GATT 1994), the Trade Facilitation Agreement (TFA) and the Agreement on the Application of Sanitary and Phytosanitary Measures (SPS Agreement). The delegates were divided into four teams (complainant, defendant, third party, and panel). The parties submitted written arguments to the panel and presented oral arguments during a hearing held on 17 May 2018 in one of the WTO hearing rooms. The panel then delivered its written report on 7 June 2018 at the year-end lunch for the training course. Once again, the ACWL offered delegates the opportunity to take a written examination at the end of the course. The examination was held at the ACWL’s offices on 21 and 28 June 2018. 28 delegates sat for the examination, of whom 26 passed and received the ACWL’s Certificate of Achievement. The ACWL’s 2018/2019 training course will start in October 2018 and will focus on basic WTO legal principles. The ACWL’s training course is provided free of charge to Geneva-based delegates of developing-country ACWL Members and of the LDCs. Invitations to attend the course and a draft programme will be sent to the missions of ACWL developing countries and the LDCs in September 2018.